According to a July 2017 ODNR report that was released early this year after the network filed a right-to-know request, the department found samples of AquaSalina that contained concentrations of radium, a known carcinogen, that are higher than those naturally occurring in brine produced from “conventional,” that is non-shale, gas wells. The ODNR’s Division of Oil and Gas Resources Management, Radiation Safety Section, tested 14 samples of AquaSalina collected from six locations in Ohio, and found radium 226 and 228 levels that exceeded the state’s “discharge to the environment limits” and its safe drinking water limits by a factor of 300. The study said the production process used by Nature’s Own Source seems to have produced “TENORM,” or Technologically Enhanced Naturally Occurring Radioactive Material, that contains more radiation than the brine had when it was pushed out of the wells. Among the sites where the ODNR obtained AquaSalina for testing in June 2017 was a Lowe’s home improvement store in Canton, Ohio, and a hardware store in Hartville, Stark County, south of Akron. The Buckeye Environmental Network wants to inspect state records to determine where the product has been sold and used, and if follow up testing has been done as recommended by the initial study, said Teresa Mills, BEN’s executive director. Mr. Mansbery said AquaSalina, which is used by “a handful” of Pennsylvania townships, wasn’t sold in hardware and home improvement stores last winter. And Jennifer Popis, a Lowe’s spokeswoman, said the product was sold in “a limited number of stores in Ohio only,” and isn’t available for purchase on Lowes.com. She said Lowes has decided to stop selling the brine and is in the process of thoroughly evaluating it. But Lowe’s still showed a two-gallon plastic jug of the de-icer/dust suppressant (price: $17.08) on its products web page last week. And John Stolz, a professor of biological sciences and director of the Center for Environmental Research and Education at Duquesne University, purchased a jug from Lowe’s online two weeks ago for a research project. Mr. Stolz said the ODNR report seems to show the brine production process used by Nature’s Own “is significantly enriching” for both radium 226 and 228 — 11 to 92 percent — depending on the test location. Ms. Mills said AquaSalina applied to ODNR for permission to operate a processing facility in 2002 and the brine product has been sold commercially since 2004. Nine of the 11 Ohio Department of Transportation districts used the product as a de-icer on state roads last winter. Pennsylvania Department of Transportation recently added AquaSalina to its list of approved road application products but did not conduct any chemical or radiation analysis before doing so, and has “no specific plans to use the product at this time.” PennDOT did spread 1,500 gallons of AquaSalina on Interstate 80 in Venango County as part of a 2016 research study with Temple University, according to Jan Huzvar, a PennDOT spokeswoman. Product tests by the Snowfighters and its partner research program, Clear Roads, favorably evaluated AquaSalina’s effectiveness, corrosion, chemical and toxicological properties. Officials of the Snowfighters organization did not return several phone calls seeking comment. 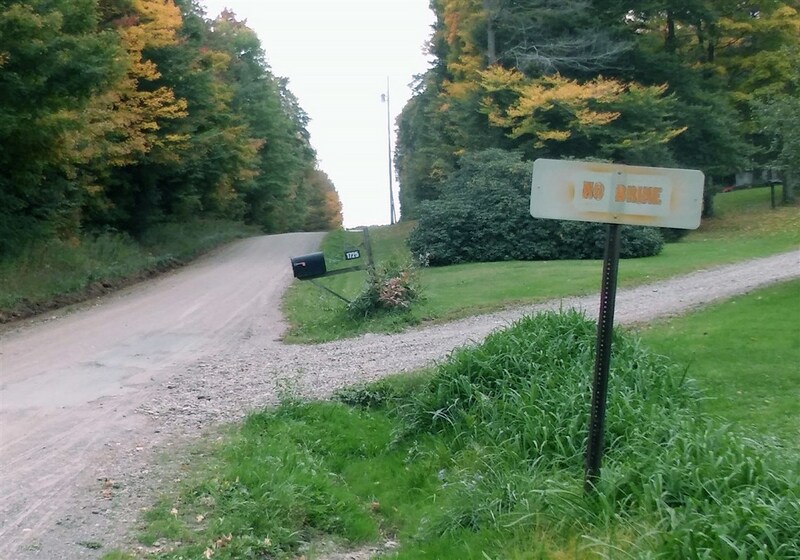 Like Pennsylvania, Ohio allows municipalities to spread raw brine from “conventional” — usually vertical — wells but not brine from unconventional shale gas drilling and fracking, in part because wastewater from unconventional wells was thought to contain additional chemicals and higher levels of naturally occurring radiation. In Ohio, municipalities are required to publicly vote on resolutions approving brine use on their roadways and file annual reports detailing where and how much brine they use. ODNR has not authorized the sale of AquaSalina or oilfield brine through a retailer, said Steve Irwin, a ODNR spokesman. “The information contained in the  study has led us to pursue a continued assessment of the product,” Mr. Irwin said. The latest dust-up over wetting down roads with brine from conventional gas drilling and fracking operations comes as legislation is being considered that would remove that reporting requirement, as well as eliminate regulations that limit how much brine can be spread on roadways, Ms. Mills said. The ODNR is opposing the proposed regulatory changes. Mr. Mansbery testified in January in favor of the deregulation legislation. The Pennsylvania Legislature is also considering weakening regulations for tracking and spreading drilling brine on roadways, following a state Department of Environmental Protection decision this spring to stop approving township plans to use conventional well drilling brine to suppress road dust. Last year, 188 Pennsylvania municipalities in 22 of the state’s 67 counties spread raw brine on their roads. Independent of that legislative initiative, a peer-reviewed Penn State University study released earlier this month found high levels of radium in “raw” unfiltered brine from conventional oil and gas wells spread on roadways in 14 Pennsylvania townships. The study also noted that no radium measurements or assessments were included in any of the annual reports filed by the townships. He said the DEP did not independently test those oil and gas brines for radium levels, and does not test commercial dust suppression products, like AquaSalina for radiation, nor track which of the more than 190 commercial products available in the U.S. are sold in the state.